Melanoma is a Skin cancer that starts in skin cells called melanocytes. These cells have a dark pigment called melanin that gives darker color to our skin. Melanoma can be superficial spreading and could be cured if detected early. It can be a deadly cancer if it spreads to rest of the body. 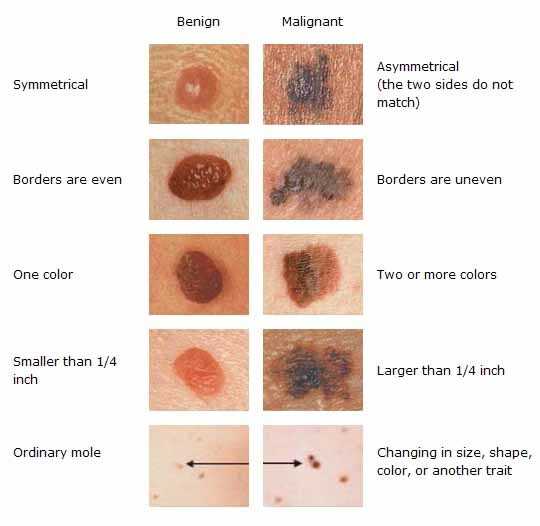 Melanoma is by far the most common cancer in the world, accounting for 75% of all cancer diagnoses. The key to effective cure is early detection and complete surgical removal of the suspected dark skin spots. Every malignant skin tumor in time becomes visible on the skin's surface, making skin cancer the only type of cancer that is almost always detectable in its early, curable stages. Prompt detection and treatment of skin cancer is equivalent to cure. Following is a suggested guide for you to follow.